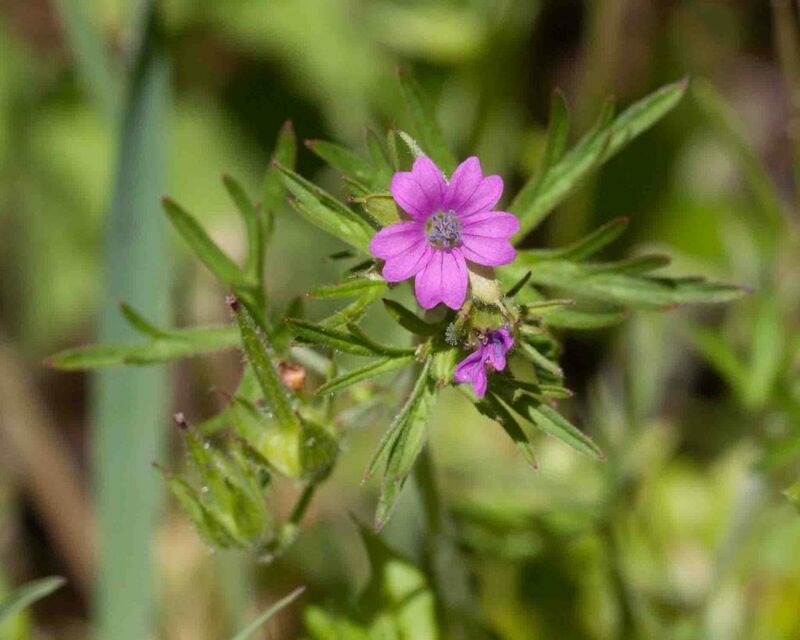 Common and somewhat invasive, this has flowers of a particularly vivid pink. 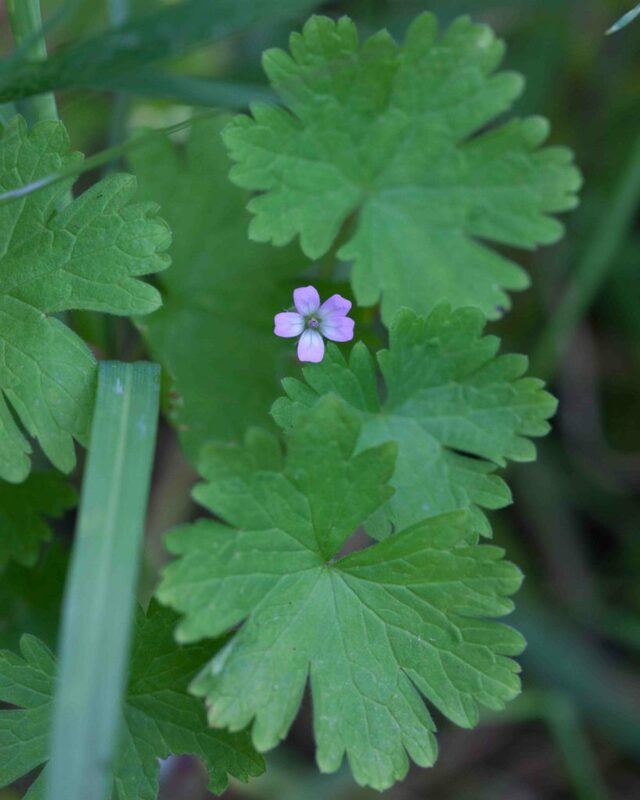 The petals are broad and shallowly notched. 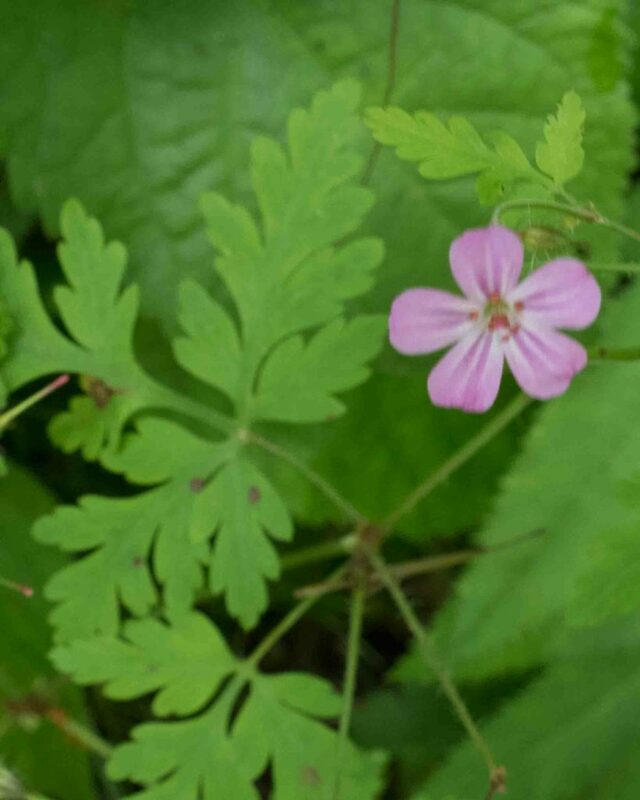 The leaves are deeply dissected. 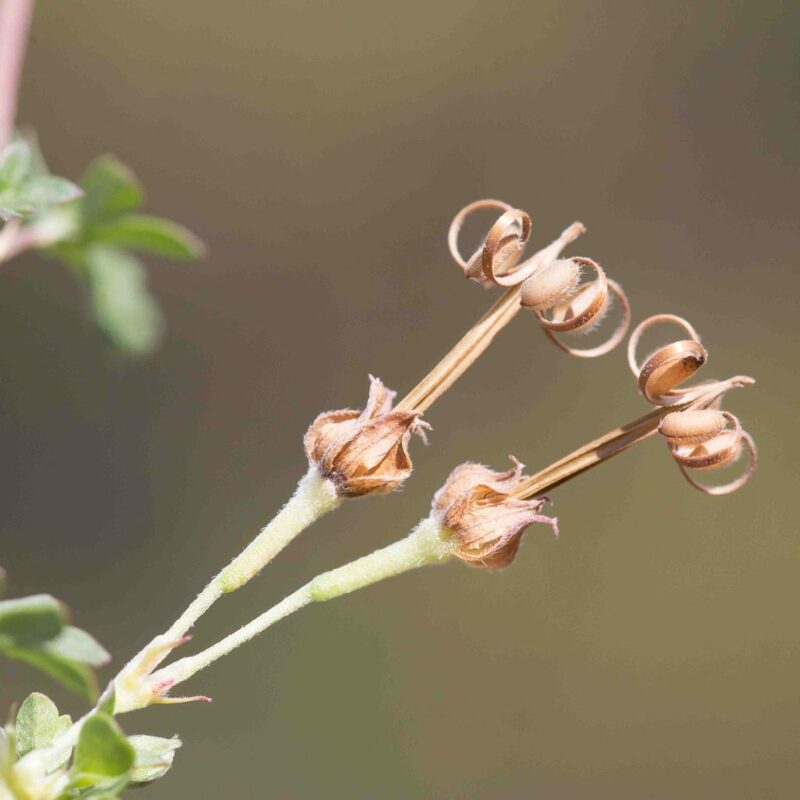 The sepal tips have a bristly awn. 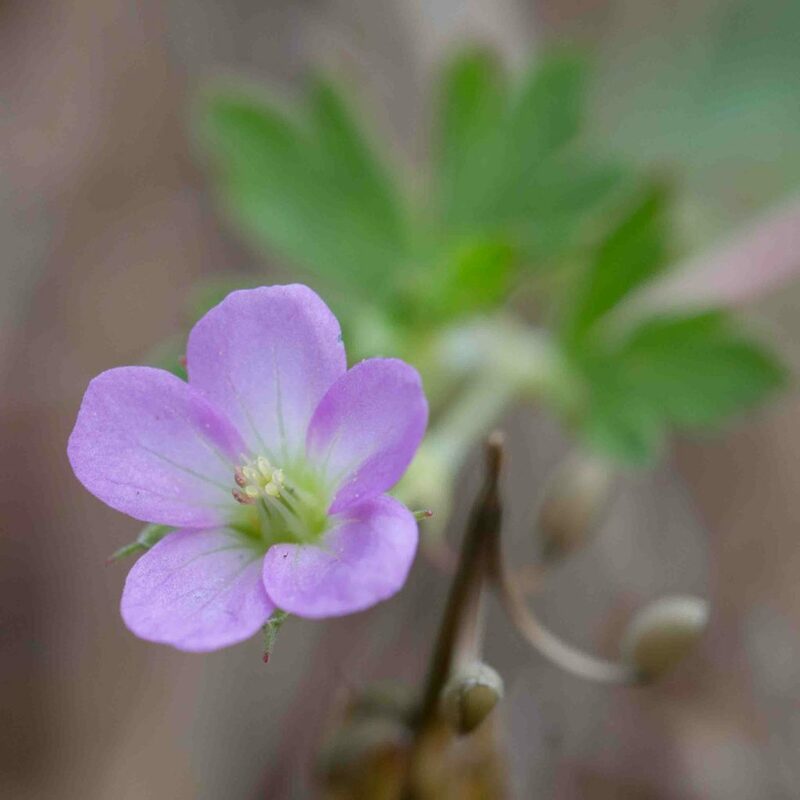 Another common geranium with distinctive, deeply notched petals which are more clearly separated and a paler pink than those of Cut-leaved Geranium (Geranium dissectum). 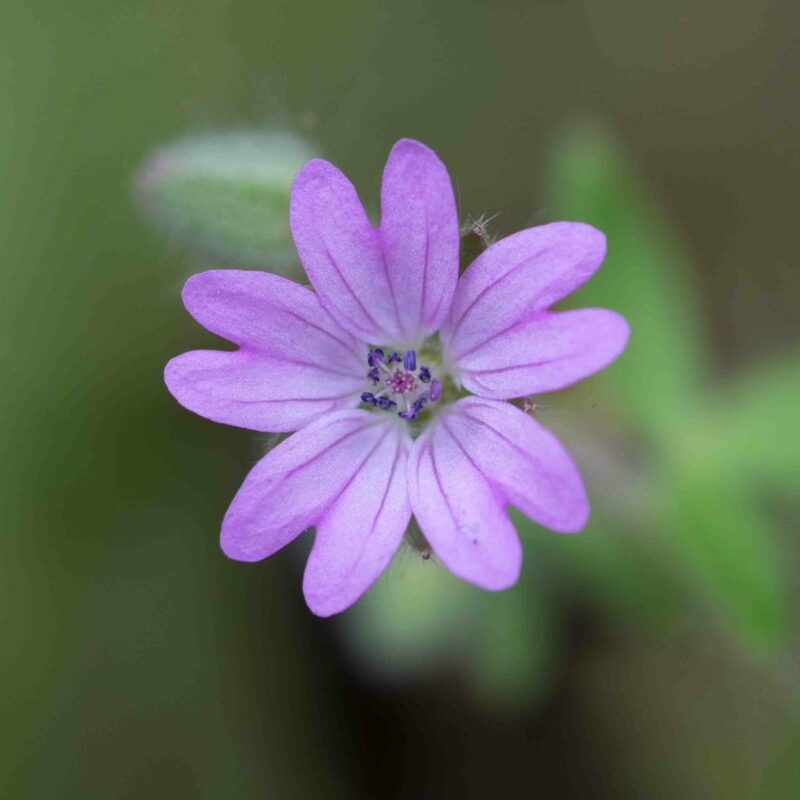 Sepals may be mucronate (i.e. 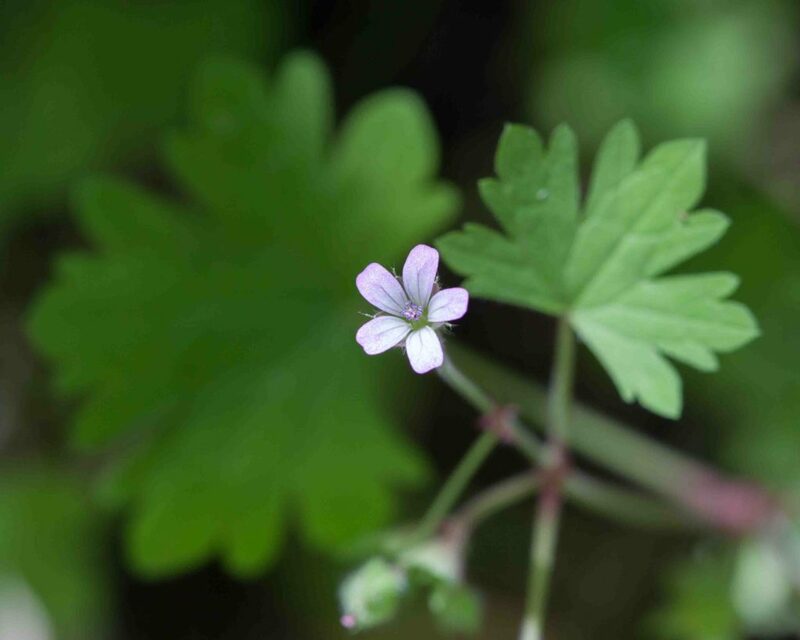 with a short point tip) but lack the awn found in Cut-leaved Geranium. 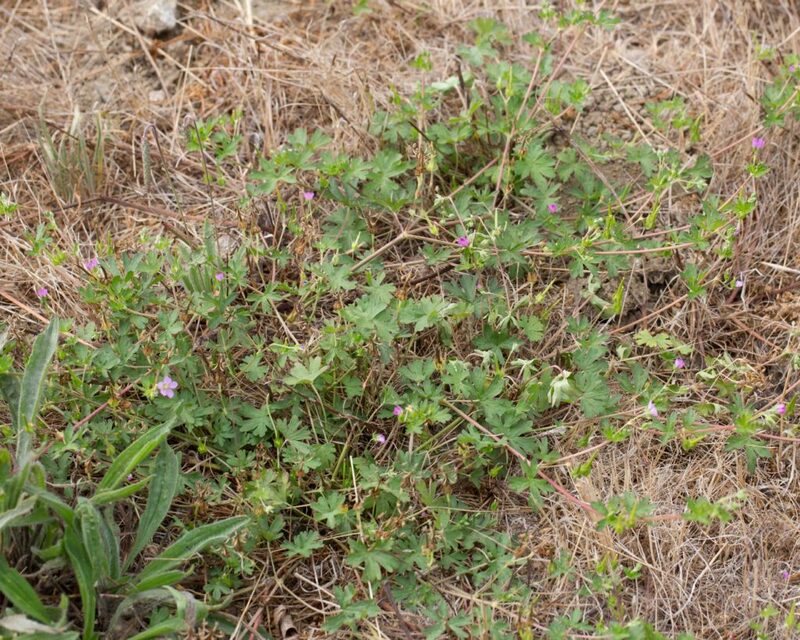 Leaves are variable, often more or less round and deeply dissected or palmately lobed. 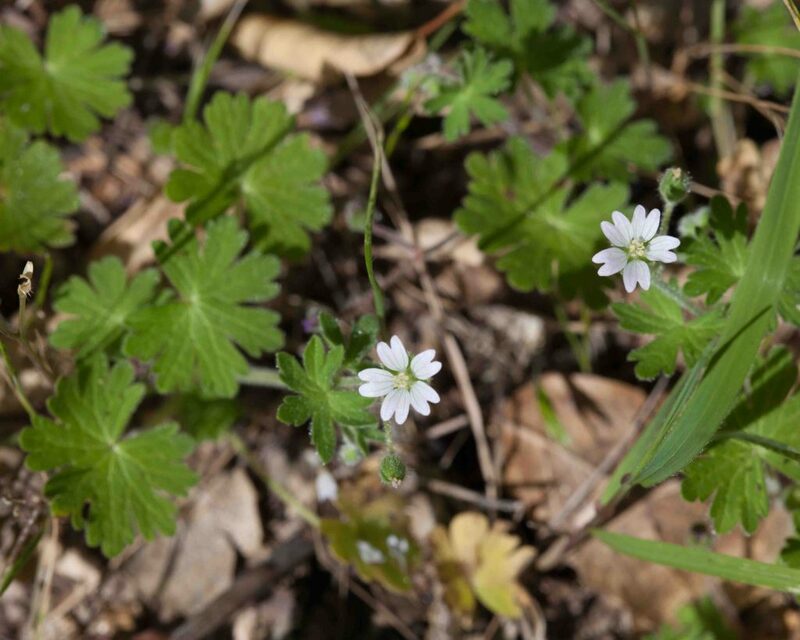 As with many flowers, white forms are occasionally found. 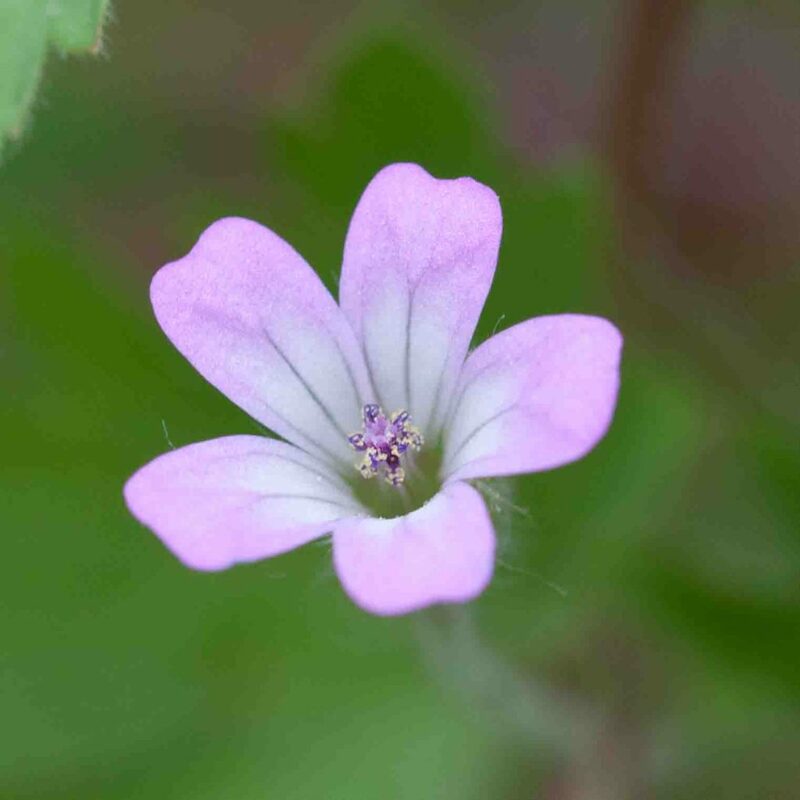 Another common geranium with petals that are pale rose-purple fading to white in the center with a slight indentation at the tip which hardly justifies the term “notch”. 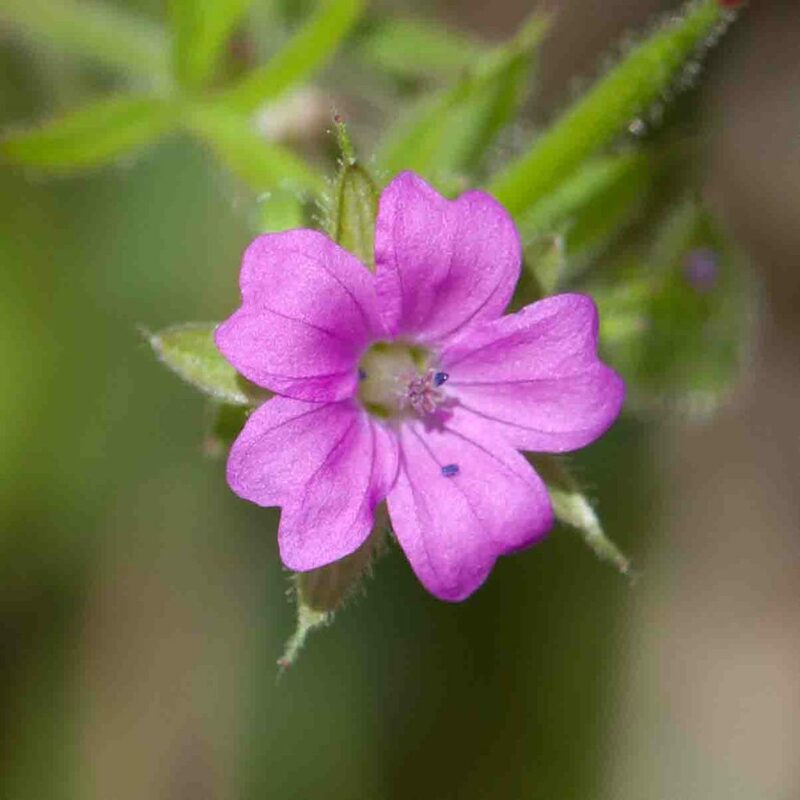 Sepals are soft-hairy and have short, bristly awns. 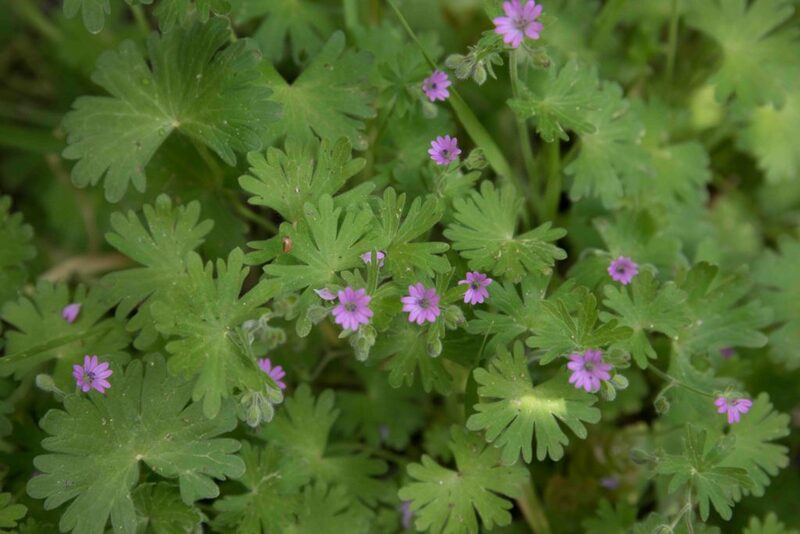 Leaves are variable, often more or less round with shallow, rounded lobes, sometimes more angular with pointed lobes. 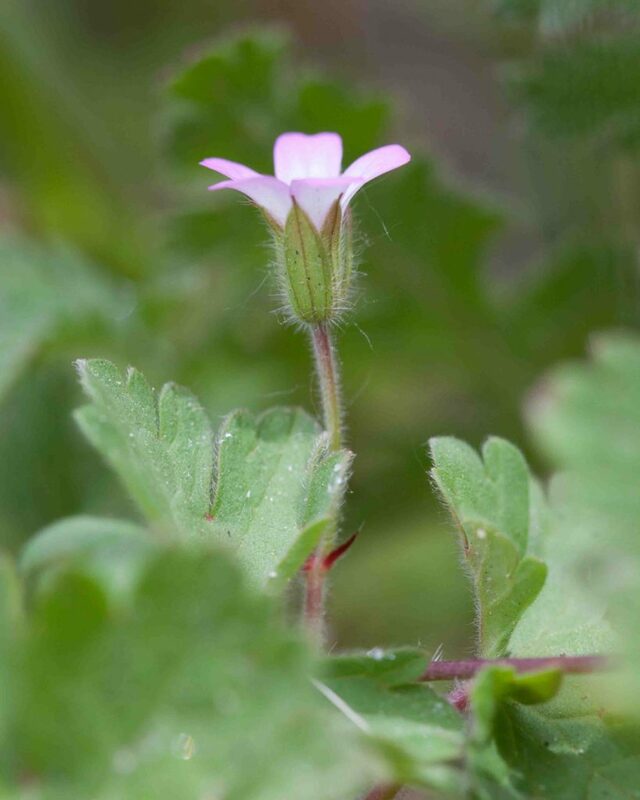 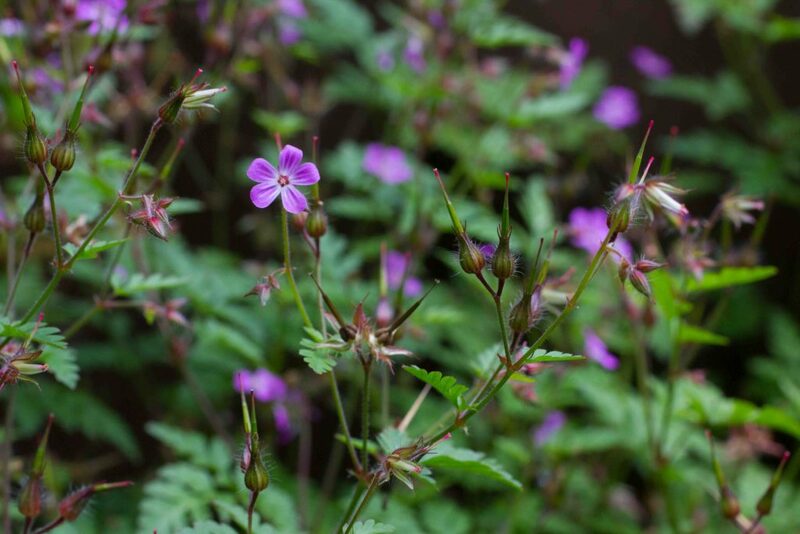 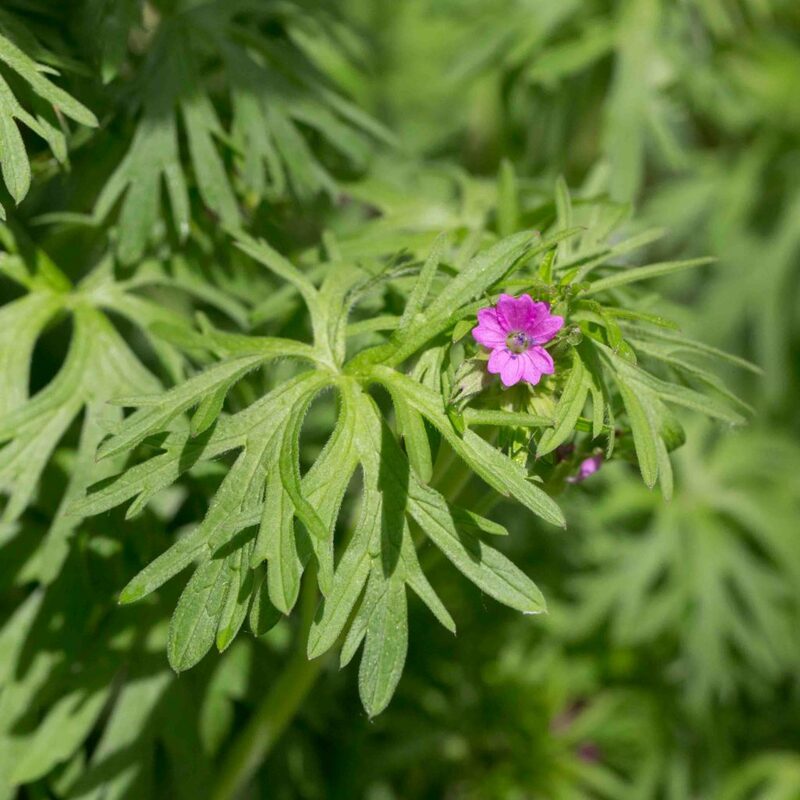 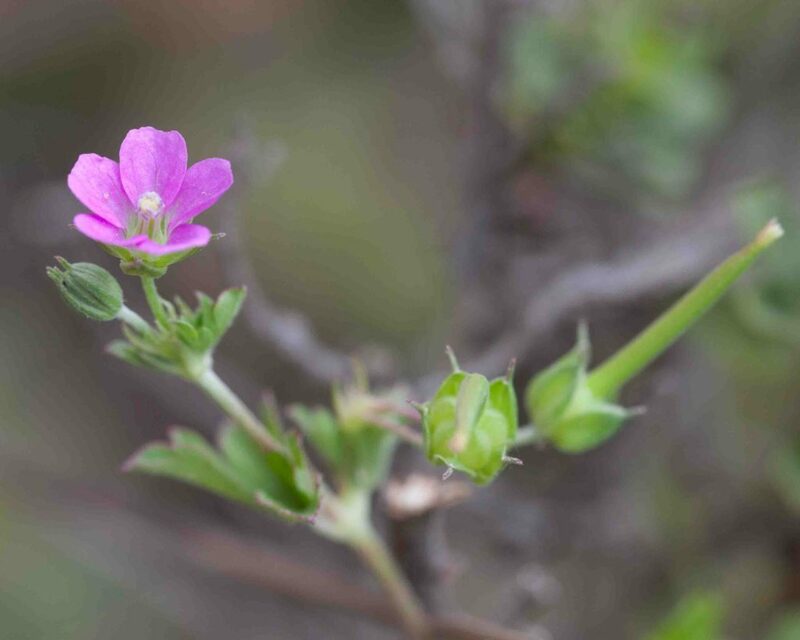 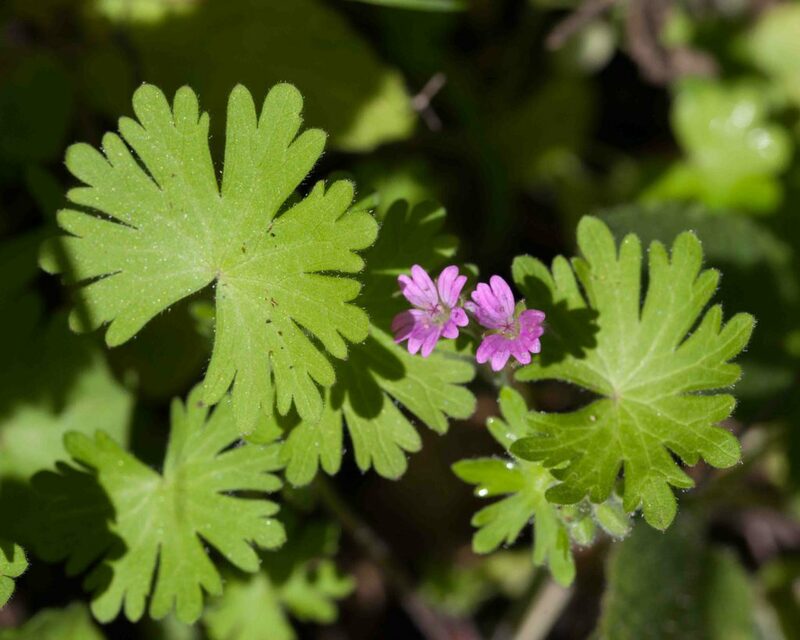 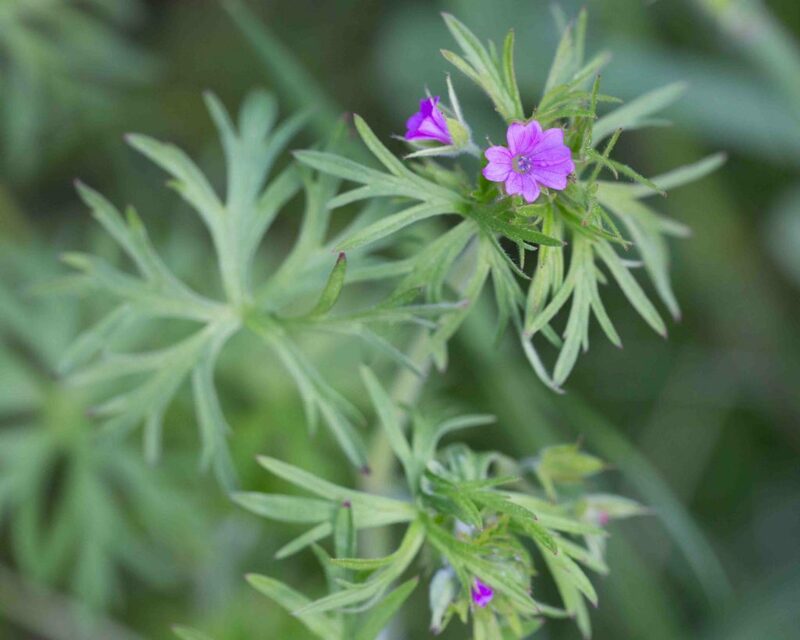 Easily confused with the native Bicknell’s Geranium (Geranium bicknellii) which has similar flowers but more deeply dissected leaves and is only found above 600 m.
An erect, many-stemmed plant; extremely common in its native Europe but uncommon in Monterey County. 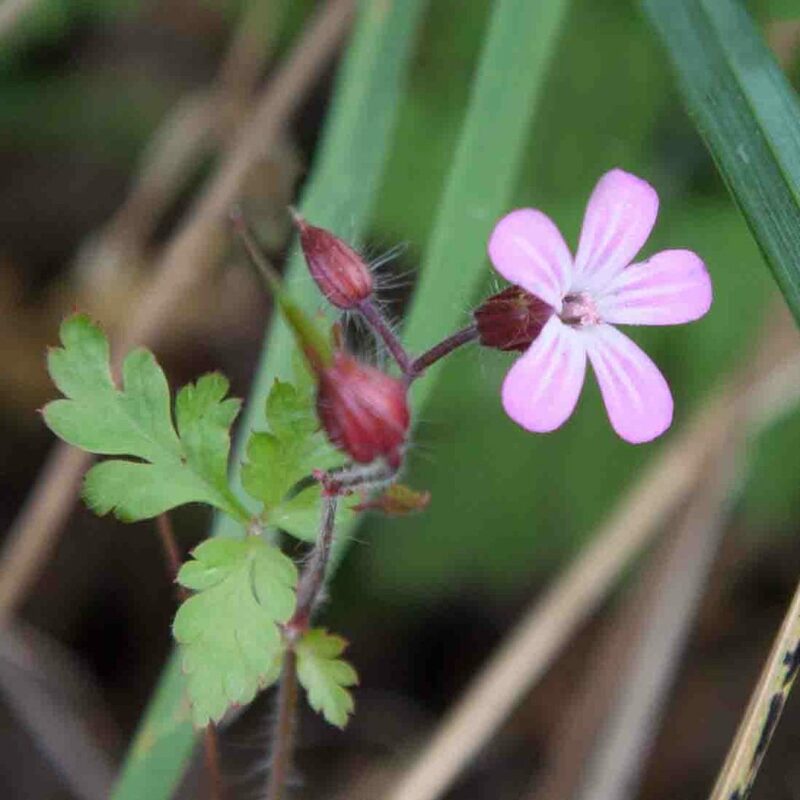 The petals are broad and unnotched but clearly separated, pink in color with white or occasionally darker pink stripes. 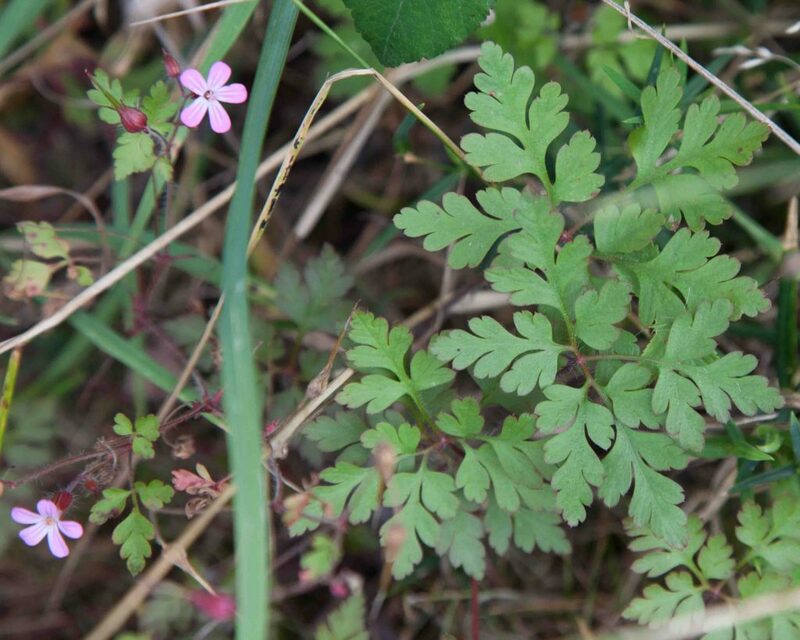 Leaves are somewhat fern-like and stems are often reddish.